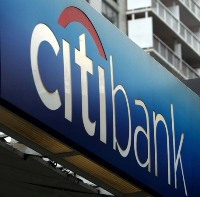 The US regulator Federal Deposit Insurance Corporation has questioned the generally positive conclusions in a government-mandated review of Citigroup's top management, says a media report. Attributing to people familiar with the situation, the Wall Street Journal said that some officials at the agency have expressed doubts about the rigour of the report, which was based partly on interviews of Citi executives who were asked to rate the effectiveness of their colleagues. According to the daily, the FDIC has questioned whether Vikram Pandit, a longtime investment banker until he took over as CEO of Citi in December 2007, can manage a company as complicated and troubled as Citigroup. The FDIC insures the deposits in more than 8,000 US banks, among other regulatory responsibilities. The report awarded strong overall marks to Citi's management team and its chief executive Pandit in particular, but took a harsher stance on some of Pandit's top deputies, the daily said citing people familiar with the matter. As per the publication, the report took a harsher stand on Terri Dial, the head of its global consumer businesses, Don Callahan, the bank's chief administrative officer and Lewis B Kaden, a vice chairman who was rotated through a number of top positions. The review, conducted this summer for Citigroup's board by recruiting and consulting firm Egon Zehnder International, was triggered by the government's stress tests of top US banks last spring. Watch out for this Sufi rocker!